I am absolutely bursting with pride and excitement today because I finally get to share some exciting news! 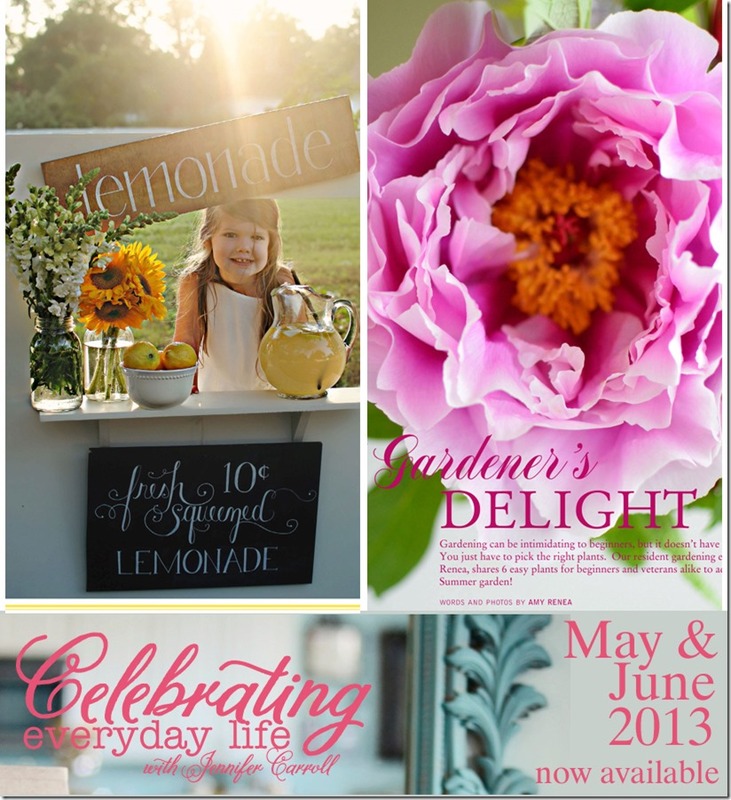 The very first digital issue of Celebrating Everyday Life Magazine is available for purchase! 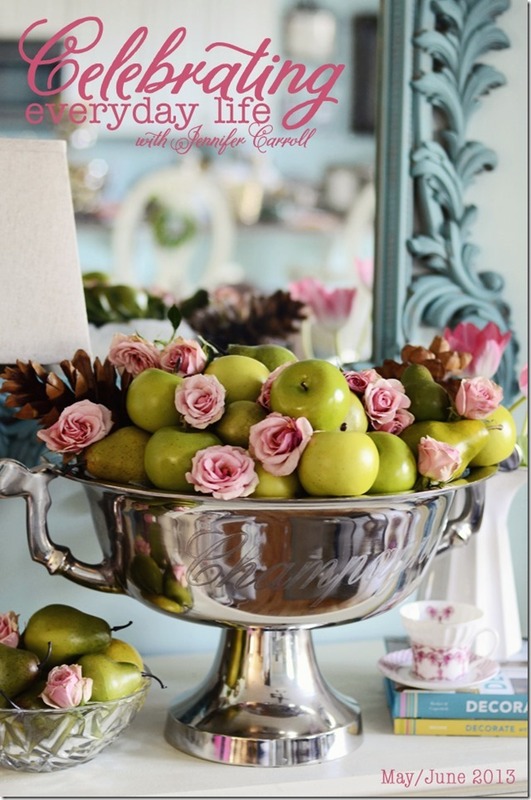 If you’ve been reading this blog for a minute or two you might remember last Christmas when I showcased Jennifer Carroll’s hot chocolate back porch party and Holiday Home Tour. Since that time, that same super talented lady decided to publish a magazine! Let me say that this is not just ANY novice magazine. 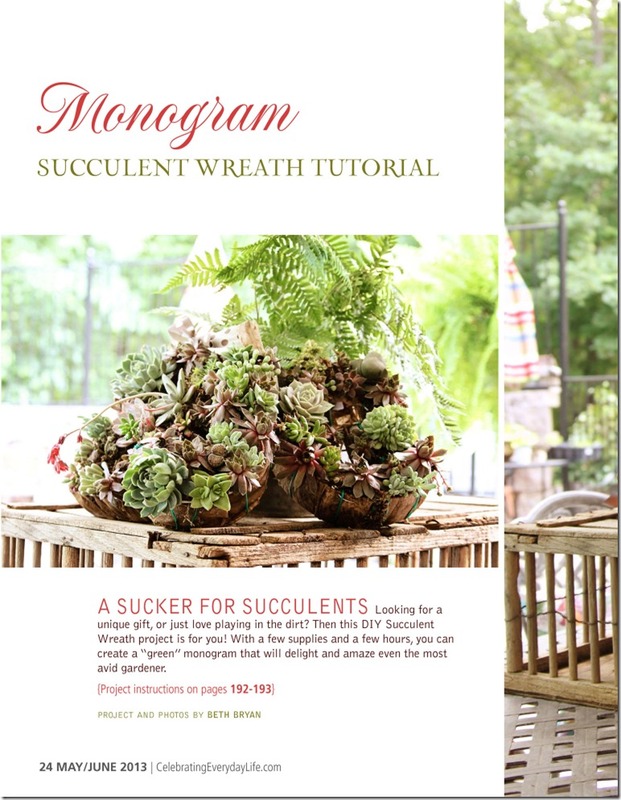 This magazine is 200+ pages of Springtime jubilation and gorgeousness. Think InStyle meets Lilly Pulitzer meets Martha Stewart, with plenty of amazing projects that YOU can pull off at your own house. And there’s two hundred pages of it, folks. It’s totally mind blowing. In addition to those talented ladies, you’ll get to see a CUTE graduation party and a Cinco De Mayo party designed by Jennifer Carroll. Anna Griffin is highlighted as well as lots of other “real people” (as my mom said). Sidenote: My mama is so impressed that I am in a magazine with her scrapbooking idol Anna Griffin. And honestly? I cannot believe that my images get to stand beside hers and the others that grace the pages of this digital masterpiece, photos like this purple ombre cake from Maggie Austin…. I mean, really?? ARE YOU KIDDING ME RIGHT NOW? And that is just a small sample, friends. A very small sample of what you’ll get to experience inside the first issue. I promise, promise, PROMISE you will not be disappointed by this magazine. It is simply stunning. Congratulations and a huge “WELL DONE!” to Jennifer for seeing this project through to fruition. Thank you for letting me be a part of it, my friend. The digital magazine is available for purchase on iPad (iOS 5 and newer) at the iTunes store. For more previews, check out the Issuu sampler or take a video tour with Jennifer. That magazine looks beautifully inspiring! You are going to rock it out, Beth! so so pretty!! I’m going to have to get it for my IPAD and sit and peruse! Just saw this at Jen Rizzo’s! I can’t wait to download the IPad version! I’m sure it’s fantastic with such talented contributors! WOW…no joke here… stunning work! Gorgeous Magazine! Wow…how gorgeous, girl! I’m drooling! Congratulation Beth! I cannot wait to see the entire magazine. I don’t have an iPad but my SIL does and I’ll get her to purchase it! Beth!!!!!! I am so thrilled for you! I’m always so in awe of everything you do! Can’t wait to read everything! Also, thanks for your pin love tonight! AND that sweet lyrical comment. You know the one! heh heh heh. Congrats girl!!!!!!!!!!!!!!!!!!!!!!!!!!!!!!!!!!!!! Wow, that looks like an amazing magazine! How fun you get to be a part of it!